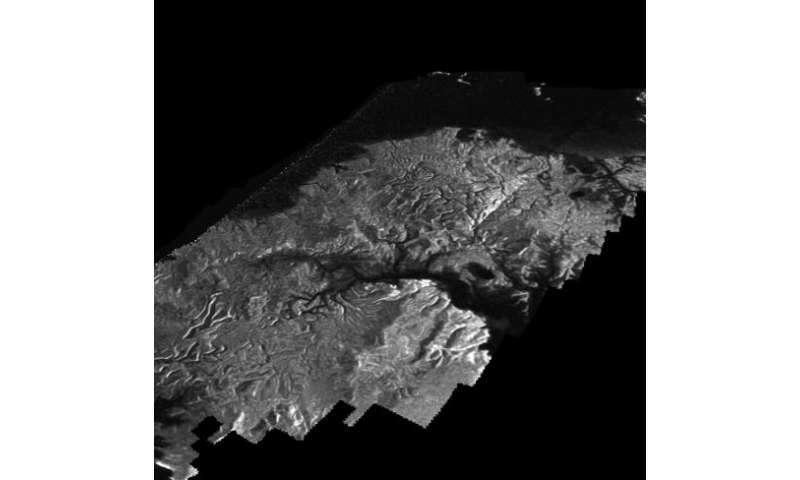 "This is an amazing technique, and Antoine has done a great job of showing that we can trust it not to put features into the images that aren't really there," said Randy Kirk, a Cassini radar team member from the U.S. Geologic Survey in Flagstaff, Arizona. Kirk said the radar team is going to have to prioritize which images are the most important to applying the technique. "It takes a lot of computation, and at the moment quite a bit of 'fine-tuning' to get the best results with each new image, so for now we'll likely be despeckling only the most important—or most puzzling—images," Kirk said. For cameras: Take a photo, then Rotate the camera by 15, 30, 45, 60, and 75 degrees taking another photo. For Radar: Same deal,rotate by 15 degree increments after each scan. Your pixels are aligned differently so your flaws are aligned differently. I don't understand why NASA doesn't do this with their probes' framing cameras and science instruments to produce higher quality composite images. The spy satellite use this technique, but they don't use it on science missions?! Maybe NASA doesn't publish their best data, but I thought Cassini-Huygens was an international joint effort. 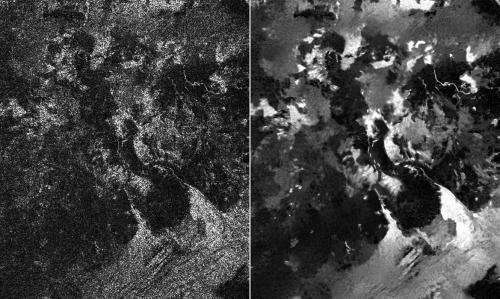 NASA could produce much better composite images of Ceres right now using the framing camera and this technique: Map it once with one camera orientation, and map it again with each subsequent camera orientation, and the effective resolution of the final image is nearly doubled. Blocky edges? not here. You'd have smooth, spherical edges and no pixelation. If you keep the camera orthogonal and take photos every 1/4th of a camera-resolution width you increase your composite resolution to 4 times the camera resolution or 16 times as many pixels per square inch. If you rotate the camera 45 degrees and do this again, you bisect each of those pixels in both diagonals, literally doubling the resolution again. That's just the "simple" method. if you did it on every 15 degrees the total resolution can add approximately 24 times the camera-resolution to the final composite image, and what I'd do is combine radar and camera data to help interpret one another, in order to correct for errors even more specifically. There is no sense in a multi-billion dollar government agency not using these techniques to produce massively higher quality images than what they typically publish. So if your pixel resolution is like 1 km, you take the first image, and then you aim your camera 1/4km offsets with same camera orientation. 0 -> left side of first image'ss first pixel. 0.75->left side of 4th image first pixel, 0.25 of 3rd, 0.5 of 2nd, 0.75 of 1st. 1.0-> left side of 5th image first pixel, 0.25 of 4th, 0.5 of 3rd, 0.75 of 2nd, end right side of first. Then you scroll down by 1/4th of a pixel width and repeat this process. Do this for the entire surface. After orthogonal is done, you rotate by each 15 degree offset and repeat the entire process. For any given pixel-width you now do statistical analysis determining the statistical likelihood of the actual color and shade of each mini-pixel by the apparent changing in all the data when moving the camera. If your pixel resolution is 10Meters, then by the time you repeat this process you would be able to resolve objects from about 1 to 2 meters, possibly a bit less in some cases. Using radar data combined with visible data, you would be able to improve resolution of the visible data to centimeter scale, since you can use radar data to help distinguish between shadows and actual feature changes or material composition changes. So then you know whether that "shadow" is an object, a feature change, a hillside, a valley, or a color (composition) change.